The most forward-thinking business leaders support their workforce in the moments that matter — and that strategy is paying off. Research has shown that corporate culture can make a major impact on how well a business performs. But culture isn’t just about what happens at work: For leading-edge thinkers, it means taking care of employees whether they’re in the office or living through key life moments outside of it. 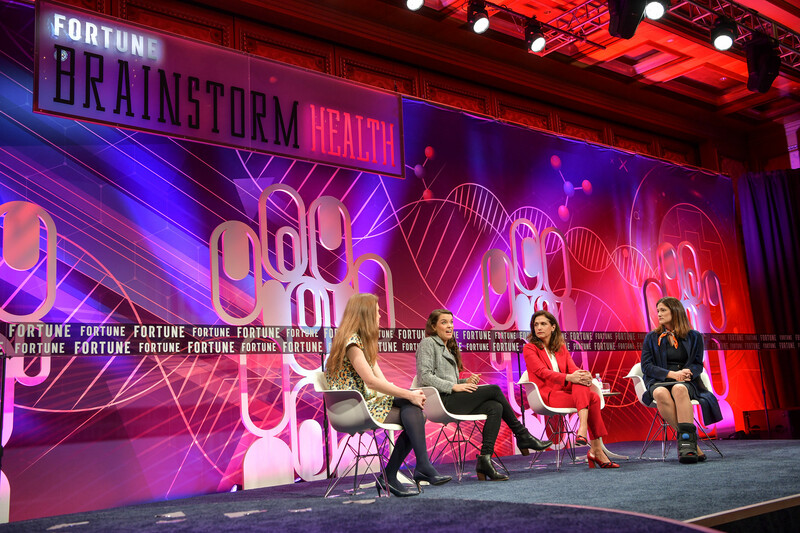 At the Fortune Brainstorm Health 2019 conference, leaders in health and well-being shared their insights into how to develop a culture where employees can thrive, no matter how big your business. In today’s workplace, stress is inevitable — but it doesn’t have to be the enemy, said Lisa Damour, psychologist and author of Under Pressure: Confronting the Epidemic of Stress and Anxiety in Girls. But as with weightlifting, stress only helps us if we have time to recover — otherwise, it can reach harmful, pathological levels, which in turn can increase the risk for anxiety, depression, and even heart disease. And that’s where business leaders can make a big impact. “Employees have to have bounce-back routines,” Damour said, and employers can facilitate that, whether it means providing access to a mindfulness program or encouraging people to spend an extended lunch break at the gym. Just keep in mind that everyone recovers in a different way, so avoid a blanket approach. Many businesses rely heavily on operational data, or O-data, which provides insights into easily measured factors such as inventory, accounting, and attrition. But to build a strong culture of well-being, leaders need to take X-data into account: intelligence about people’s experiences — including health, career, financial, time, and family experiences. “X-data is the stuff that happens outside the walls of the business,” said Jared Smith, co-founder of experience management company Qualtrics. But it can impact employees’ productivity, creativity, and job performance — and even determine whether they stay at a job at all. And that can have a powerful effect on your bottom line. Consider the impact of family experiences — for instance, the fertility and maternity journey. There’s a reason companies are increasingly offering benefits like egg and embryo freezing to employees. “Forty-three percent of new moms are dropping out of the workforce,” said Kate Ryder, founder and CEO of Maven, a women’s health care platform. Through Maven, corporations can offer their employees access to vetted health care professionals, IVF and adoption services, and support in the notoriously challenging process of returning to work following the birth of a child. By bringing together an organization’s X-data (employee-reported people experience information) and O-data (HR-reported performance insights), then exploring their impact on business performance, companies will be able to connect the people experience directly to their bottom line. Through this process, business leaders can understand what life experiences are challenging employees, and provide solutions that help them thrive at work — whether that’s assistance with fertility treatments, parental leave, or elder care. “We tend to think that our phone makes us more productive,” said Catherine Price, a science journalist and author of How to Break Up with Your Phone. And they can, but phones can also change our brains, reduce our attention spans, and pummel our self-esteem. More crucial for businesses, phones can be hindering employee creativity. This isn’t a fluffy, nebulous idea — there’s science behind it, Price said. “If you think about creativity as being able to draw connections between unconnected things, you need to have long-term memories,” she explained. To create memories, the brain needs to create new proteins, a process that is easily disrupted by distraction. Companies that improve the lives of their workforce by supporting the life moments that matter most to employees are poised to see the most loyalty, retention, and productivity. That’s why Thrive Global, SAP, and Qualtrics have joined together to announce the launch of the Thrive XM Index, a first-of-its-kind tool that gives companies a holistic way to measure well-being in their own employee populations, and connect the people experience to their bottom line. Does business do enough to distinguish between poor mental health and poor performance?